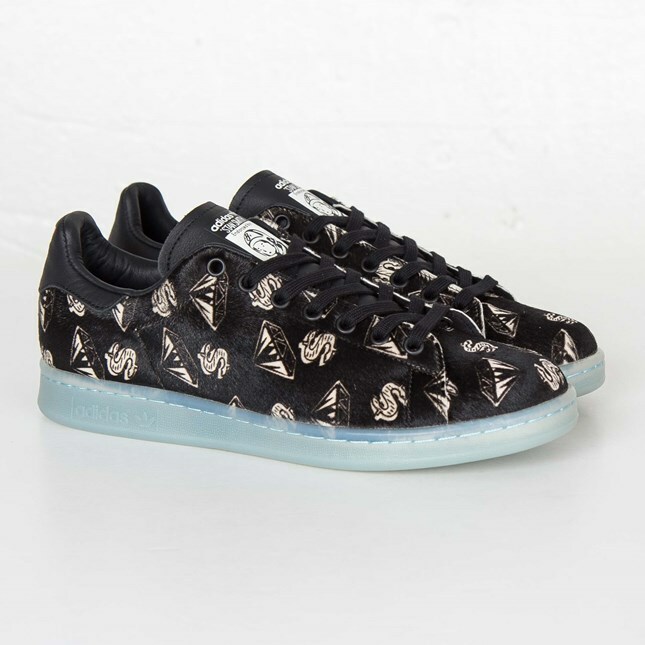 Previewed a few months back, the Pharrell x BBC x Adidas Stan Smith "Pony Hair" is finally releasing next week. 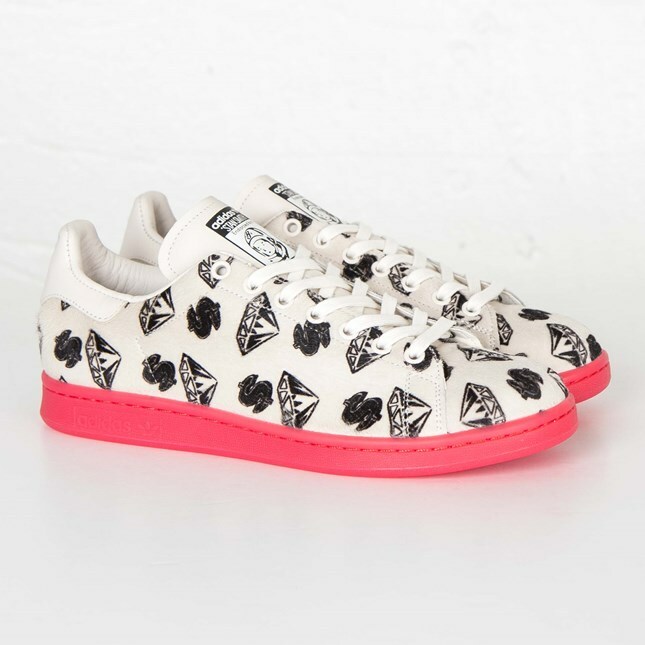 The sneaker features the iconic diamond and dollar sign BBC print that was extremely popular years back. 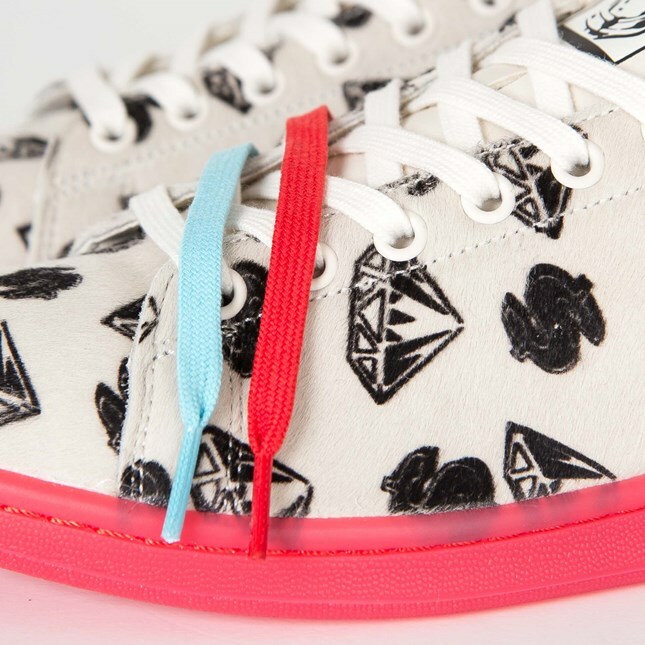 The collection comes in two colorways; black with a translucent sole and white with a coral/light red sole. 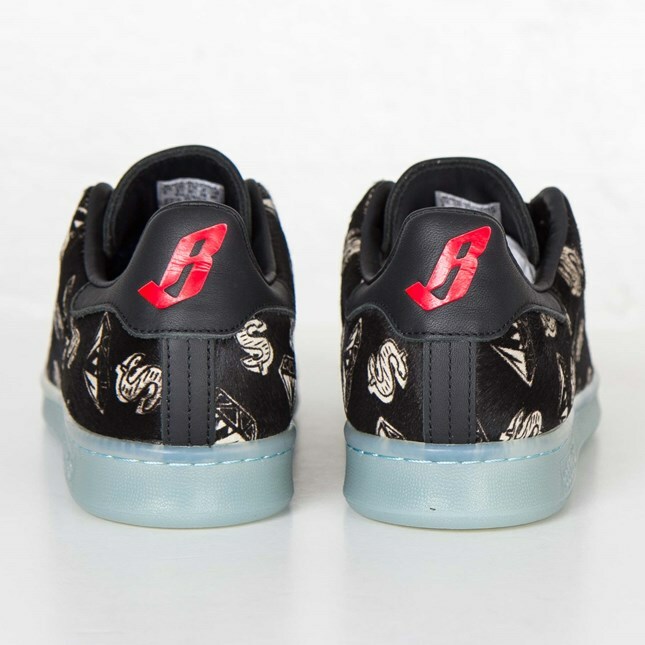 Both sneakers features the classic print on the upper with BBC's "B" logo on the heels. The collection comes with two sets of laces, special packaging, and premium suede and leather. 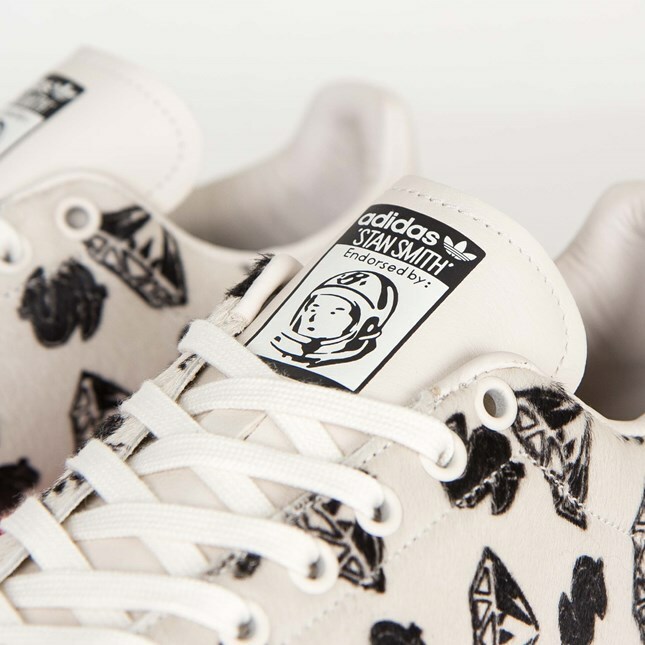 The Pharrell x Billionaire Boys Club x Adidas Originals Stan Smith "Pony Hair" releases at select retailers next weekend, including SneakersNStuff. 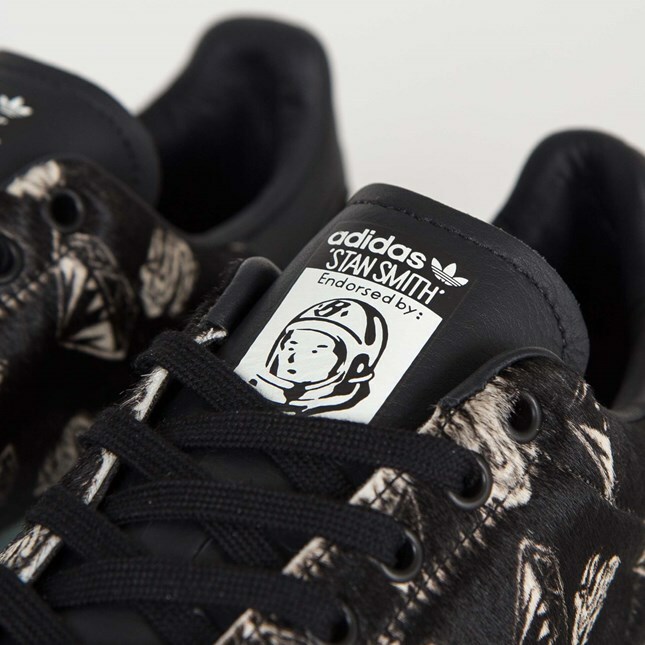 Stay tuned with @SneakerShouts for live up to date info as it unfolds!